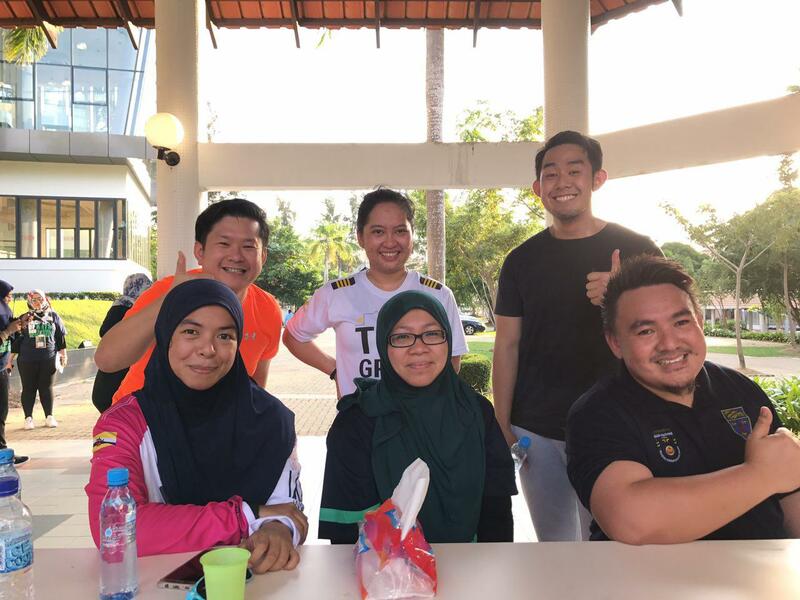 At 4.30 pm on a Wednesday afternoon, the Faculty of Arts and Social Sciences (FASS) and Centre for Advanced Material and Energy Sciences (CAMES) joined together to organise their first weekly outdoor activity of the year, with the help of the FASS Student Council, bpmFASS. 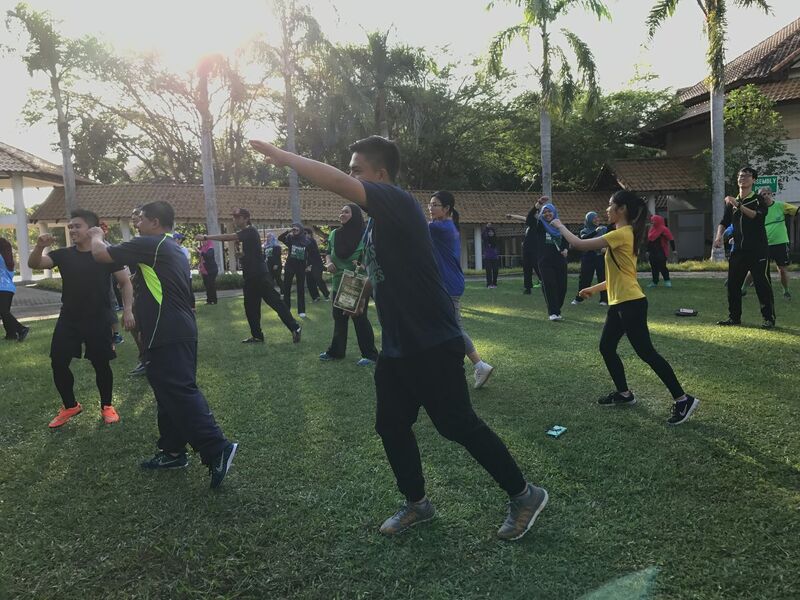 The activity was held on the 11th January 2017 and was aimed to promote a healthier and more active lifestyle amongst the people of University Brunei Darussalam. The event started off with a cleaning campaign around FASS, SHBIE and CLT area then followed by a warm up session at Taman Rakis lead by a few members from bpmFASS. The warm up session included some basic stretching movements and the popular Indonesian dance “Poco-poco”. Positive energy radiated from the participants ranging from lecturers, administrative staff from both FASS and CAMES, and students alike as the atmosphere was light and cheerful. The run commenced at 5.00 pm and the participants ran a total of 3.2 km lead by the head runner, Muhd Khairul Naqiuddin bin Rolzaman from bpmFASS. The route started from the New Business Library, past the Female Hostel, through UBD Mosque, around Faculty of Science building and finally back to the library. The event ended at around 5.45 pm and the participants gathered at the Taman Rakis for refreshments. To sum up, by 6pm, all of the participants have dispersed as the first outdoor event of the semester by FASS and CAMES was successfully conducted.